Includes Joey Clip-On Tote Bag Offering 18kg Extra Storage! 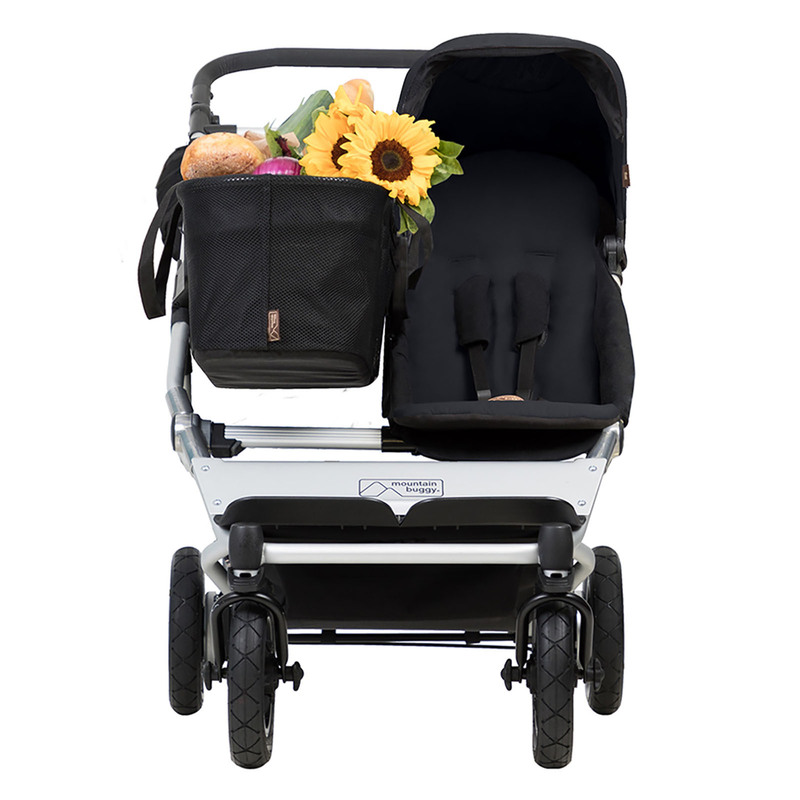 The Mountain Buggy Duet (as a single), is the ultimate value solution for parents looking for a compact, smart and cost effective buggy suitable for a growing family, which offers unique single to double capabilities, all built on a proven innovative and award winning platform. 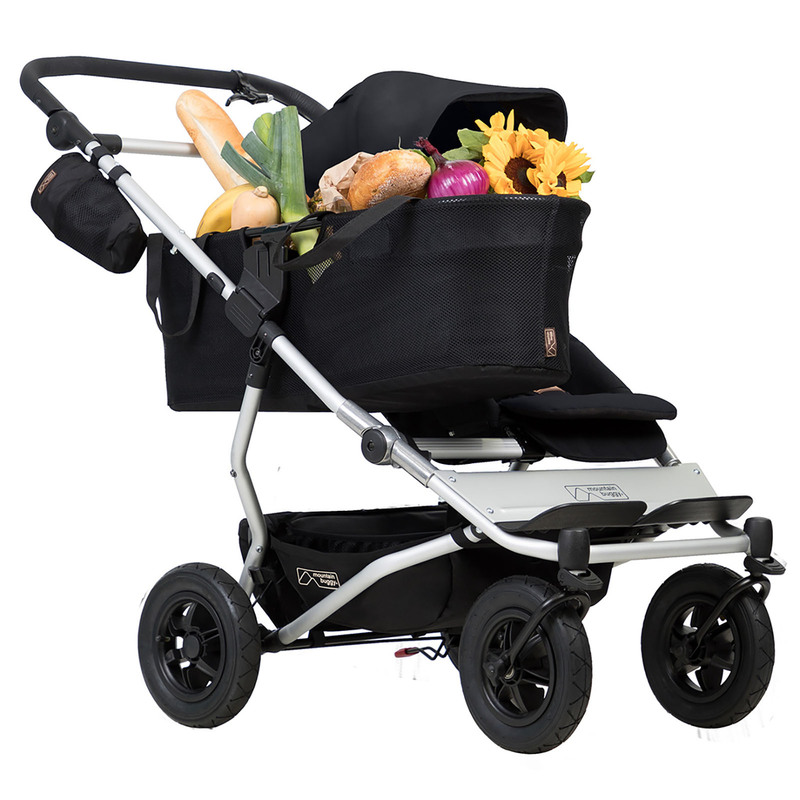 With the ability to grow with your family, the Duet transitions seamlessly from a single to a double using the additional family pack accessory (sold separately), without the hassle of having to change the width of the chassis. Purchased as a single, duet offers maximum storage with the stylish joey clip-on tote bag, which sits alongside your child so you can keep both child and shopping all within arm’s reach. The hand operated control brake is perfect for slowing the buggy down, providing additional confidence and superior handling when needed. width - 63cm / 25"
unfolded dimensions - 114 x 63cm / 44.8 x 25"
folded dimensions - 89 x 63 x 32cm / 35 x 25 x 12.5"